This is a pre-order. Expected ship date is September 30, 2019. Please Note: This item will ship in September 2019. Subject to change. In his first race with the colors of Ally on board his No. 48 Chevrolet Camaro ZL1, Jimmie Johnson scored the victory in the 2019 edition of the Clash at Daytona. The win was a thriller for the seven-time NASCAR® champion, as he withstood contact in a battle for the lead on what turned out to be the race’s final lap. The contact led to a multi-car crash, but Johnson remained out in front when the caution flag flew and was declared the winner when rain cut the event short of its scheduled distance. 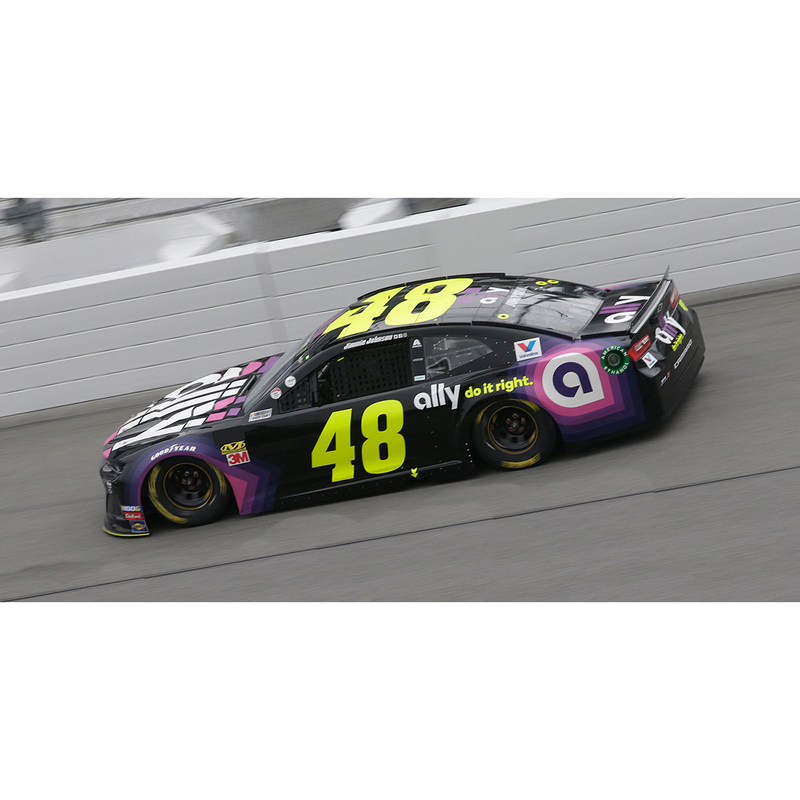 To celebrate Johnson’s first trip to victory lane since 2017, Lionel Racing is now offering the Jimmie Johnson No. 48 Ally Clash at Daytona race win die-cast. Available in both ELITE and Action Racing Collectables (ARC) trim, this die-cast will be a great addition to any collection. Quantities for this die-cast will be limited, so get your order in today! Each ELITE 1:24-scale hood open collectible die-cast includes manufacturer-specific engine detail, die-cast body, die-cast chassis and detailed interior. Each collectible die-cast also features a DIN (Diecast Identification Number) for registration.